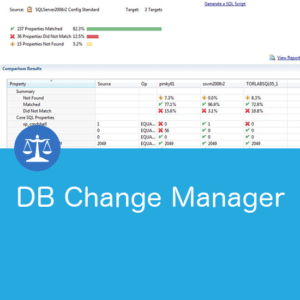 DB Change Manager puts the power of change tracking, schema comparison, software-generated synchronisation scripts, and flexible reporting into the hands of DBAs and developers. 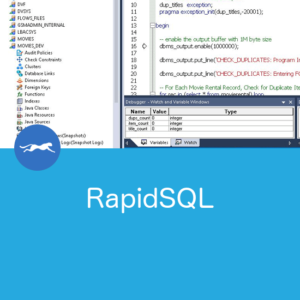 Use synchronisation and rollback to easily generate alter scripts to sync selected objects or restore databases to a secure point in time. Identify and report on changes to the database at or between points in time. 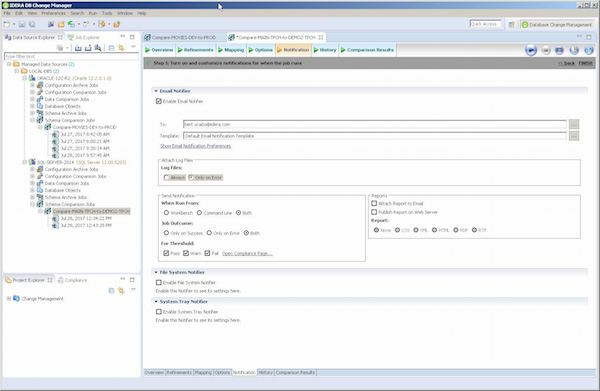 Get proactive notifications of overnight changes to simplify troubleshooting. 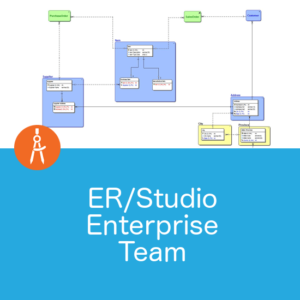 Use DB Change Manager to identify and address potential issues in database schema. 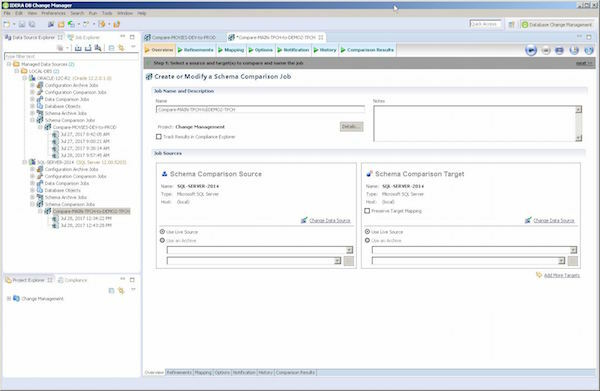 Schema compare capability helps you locate unanticipated problems immediately. 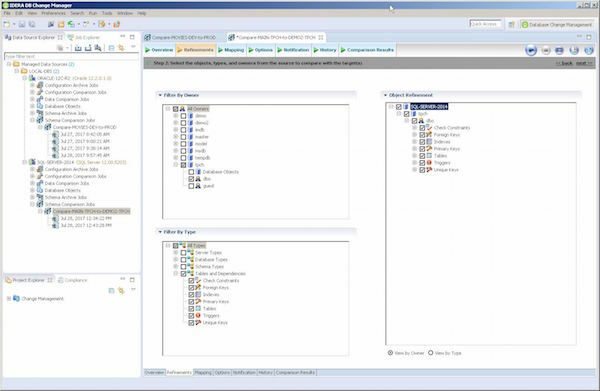 Map the databases and schemas to pair the source and target databases for comparison. Use a live-to-live database compare to obtain a list of changed objects. 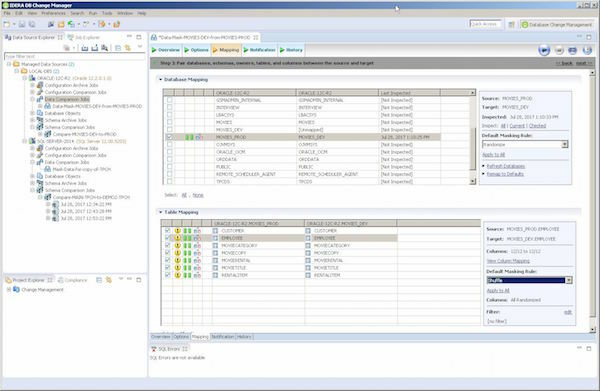 First select which databases to compare, then proceed to refine the comparison parameters. Refine your schema comparison using filters for owner, object, and type, to select the source items to compare against the target. 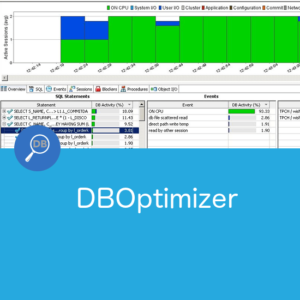 This allows you to control the size and scope of the compare operation and its output. After that, specify object options and settings, choose manual or automatic synchronisation, run the comparison, and review the list of results and reports generated. 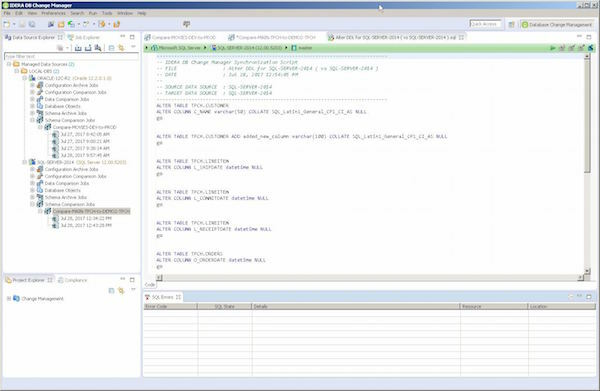 In the schema comparison detail report, see the SQL code required to implement the changes between schema archives, live data sources or both. DDL differences are colour-coded for easy comparison. Promote schema changes from Development, to Test and finally to Production. Shuffle or randomise columns in a data compare with an auto-synchronisation job. De-identify data in the production environment and quickly migrate the masked, yet realistic and fully functional, data into Development, Test and QA environments. 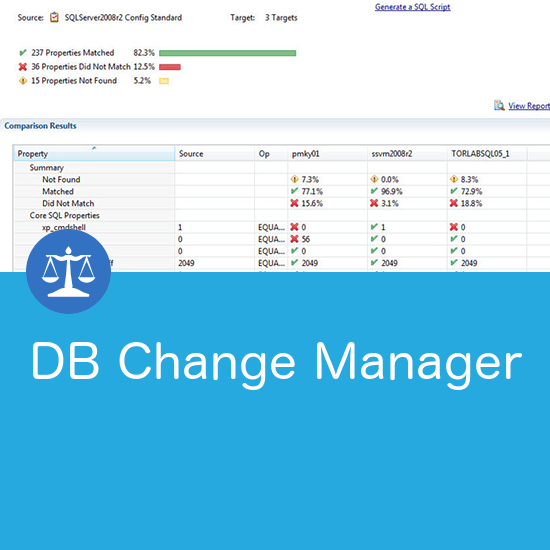 For a more detailed discussion about how DB Change Manager might meet your needs, fill out the contact form and we’ll follow up with you.